Press Release: After Losing In Court, Investment Banker David Tedesco Attempts to Self-Help Evict Tenant Beijing Garden Restaurant In Chinese Cultural Center. Restaurant Vows to Serve Food 24 Hours a Day And Honor the Remaining 5 Years on Lease. 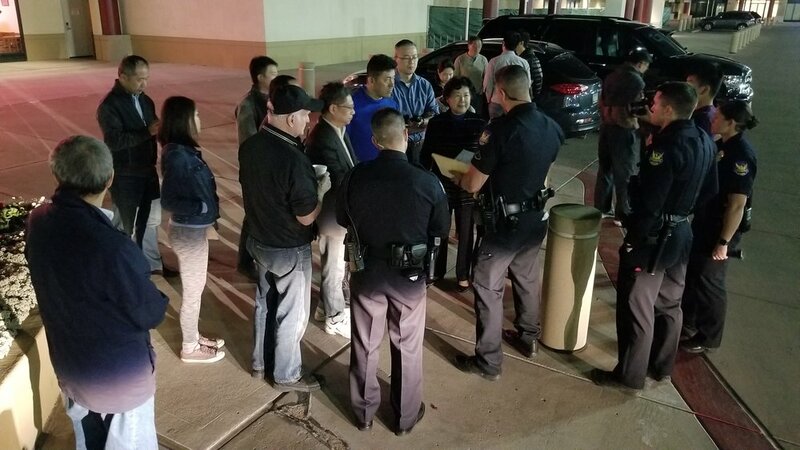 For the third night in a row Chinese Americans have held vigil overnight to prevent investment banker David Tedesco from illegally evicting them from the Beijing Garden Restaurant in the Chinese Cultural Center. Not able to get what they want from the courts, 668 North Company and their attorneys have turned to rogue criminal acts to try to get what the courts have refused to give them. In just the past 24 hours, True North has cut the phone wires of the restaurant, blocked their kitchen exhaust fan to prevent them from cooking, threatened to arrest them for trespassing, and attempted to lure them from the property and forcibly lock them out of the building. They called the police and tried to have supporters of the effort arrested and they even attempted to have their advisor arrested when he walked to the common area roof to turn the kitchen fan back on. The police denied their request. They called the fire department, after they themselves turned the exhaust fan off to the kitchen, and asked the fire department to shut the restaurant down. Again they were rebuffed. Finally, last night when the owner of Beijing Garden Restaurant went to the store to purchase supplies, the in-house attorney for True North lured the manager to the property office, saying the fire department wanted to talk with him, while a second employee of Investment Banker David Tedesco, Robert Reblin, ordered the remaining employees out of the restaurant. They refused. The police were called and again the restaurant was saved from illegal takeover and eviction.